Patrick McGovern, founder CEO of International Data Group. The dearth of leadership in both the political and business worlds is a hot topic these days. Americans are feeling unprecedented levels of anxiety about the divisive and troubling political environment and get little relief when they turn to the business pages. Where have all the leaders gone? CEOs seem to be in the headlines but for all the wrong reasons. Some are being called out for questionable management tactics, shabby treatment of employees, and a noteworthy ability to disavow ethical behavior in their work and personal lives. A decade’s worth of polls shows high levels of disapproval of both political and business leaders. Patrick McGovern defied that trend for nearly 50 years at the helm of International Data Group, the Boston-based global technology media empire he founded in 1964. Both by design and as a result of wisdom achieved from years of traveling around the globe starting technology publications such as Computerworld, PCWorld, and Macworld, and hundreds of others, McGovern, who died five years ago this week, built an unusual, principles-based organization where his tens of thousands of employees felt appreciated, challenged, and well compensated. He laid out a clear mission, spent countless hours meeting and communicating with individual employees, and offered everyone a chance to rise through the ranks to positions of influence. The culture was familial and collegial, and engendered great loyalty and affection for this thoughtful leader who eschewed the spotlight in favor of putting his people and products first. Under his command, IDG played a major role in chronicling the evolution of information technology around the globe. At its zenith, IDG boasted 300 publications in nearly 100 countries, reaching 280 million technology readers and buyers. McGovern’s leadership lessons are worth examining today. Talk to former IDG employees and they will recount the annual holiday season visit from McGovern, who would stop at every desk at every IDG office across the United States, chat about that person’s accomplishments, compliment their contributions, and then hand them a holiday card with a cash bonus tucked inside. With a photographic memory, he only had to hear a person’s name once and he would ever remember them. The idea of a CEO spending the weeks it required to make this personal connection to every employee was heretical to most business leaders, but it made an indelible impact on IDG’s troops. Having founded IDG in an unassuming gray house in Newton, McGovern listed 10 corporate values that were posted in every IDG office around the world and, though he was an introvert, he knew instinctively what motivated his employees, who fondly called him Uncle Pat. He constantly challenged young managers to leap into the deep end of the pool to take on assignments they felt unprepared to handle. Most of the time, they rose to the challenge, surprising themselves at their own success. Among his lessons, he fostered a “Let’s try it” attitude, encouraging ideas and contributions from every corner of the organization. He himself embodied that attitude with forays into new, untapped markets that others ignored or feared. In 1978 on a flight from Tokyo to Moscow, for example, McGovern disembarked at a stopover in Beijing, talked his way through the customs check, and spent a day wandering in the city. At the time, China and the United States had not yet established diplomatic relations, but McGovern saw a population hungry for information about technology, and against advice from the IDG board, he set up a joint venture in China in 1980 to publish China Computerworld. 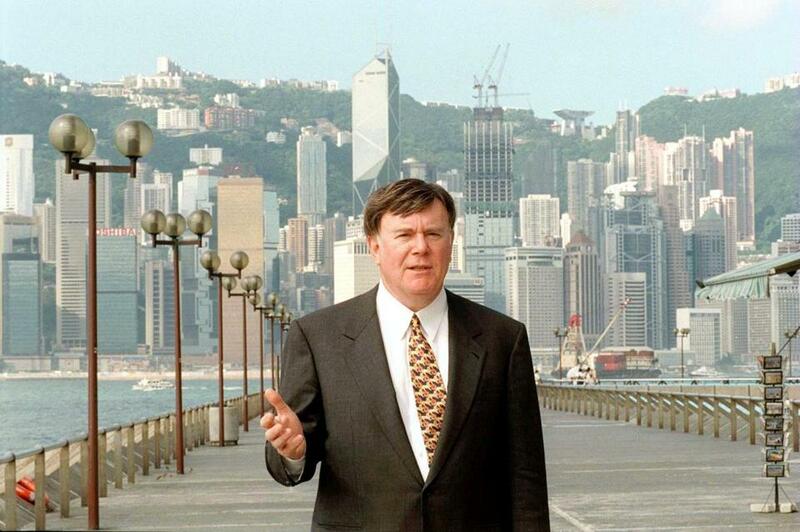 IDG emerged as the most successful publisher in China, and McGovern, who made 130 trips to the country, became an admired and influential business figure as China’s market economy emerged. When McGovern died on March 19, 2014, at age 76, he left behind an impressive legacy, including the McGovern Institute for Brain Research at MIT, which he and his wife Lore funded with a $350 million gift in 2000. But it is his inspiring leadership skills that continue to resonate for all who had a chance to work for him. In the leadership void in which we are currently mired, his lessons are more meaningful than ever. Correction: A photo caption in an earlier version of this column incorrectly gave the wrong year of Patrick McGovern’s death. He died in 2014. Glenn Rifkin is a journalist and author based in Acton. His latest book, “Future Forward,” is about Patrick McGovern.